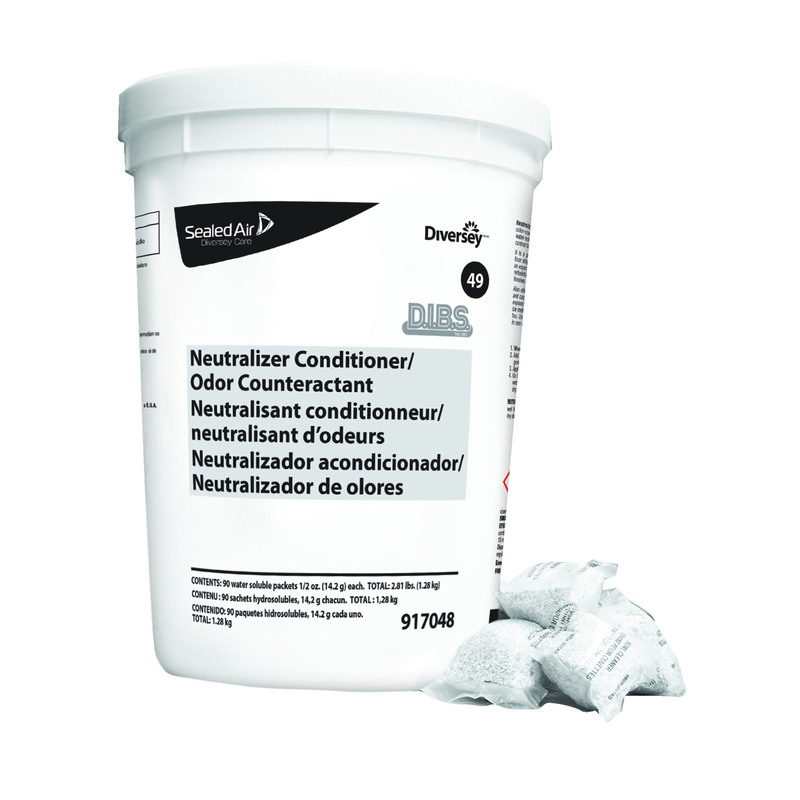 An alkalinity neutralizer in convenient D.I.B.S.TM/MC drop-in bucket system packets for use after stripping floor finishes. Conditions surface for proper adhesion of new floor finishes. 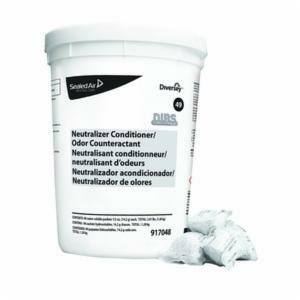 White in color and odorless.